The Scout Association of the Cayman Islands operates as a branch of the United Kingdom Scout Association, due to the Cayman Islands' affiliation as a Crown Colony of the United Kingdom. The Cayman Islands' Scout Oath and Law, as well as other Scouting requirements, closely follow that of the United Kingdom. Membership is about 500 Scouts. In October 2006, Governor Stuart Jack was installed as Chief Scout. Scouting has existed in the Cayman Islands since the early 1920s. There has been rapid growth since 1990, mainly due to a full time Scouting Executive, improved public image and more Scouters including expatriates becoming involved. There has been a move to bring Scouting to all communities and islands. Although the program activities are taken from the British system, Cayman Scouting is geared to the Caribbean way of life. Training for Wood Badge and leader training are conducted with the help of British and nearby Caribbean Scout associations. The government of the Cayman Islands supports Scouting in very positive ways. They provide meeting places, provide funding for an executive commissioner. Camping is illegal throughout the Cayman Islands. Cayman Scouts participate in numerous Caribbean camps and events, and Scouts from the Cayman Islands participated in the 1998 World Jamboree in Chile. McGowan, Cliodhna (2006-10-26). "Governor Jack becomes Chief Scout in Cayman". Caymanian Compass News Online. 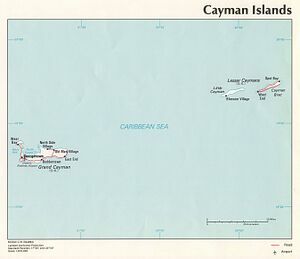 http://www.caycompass.com/cgi-bin/CFPnews.cgi?ID=1017490. Retrieved 2006-11-04. This page was last edited on 6 May 2012, at 12:15.